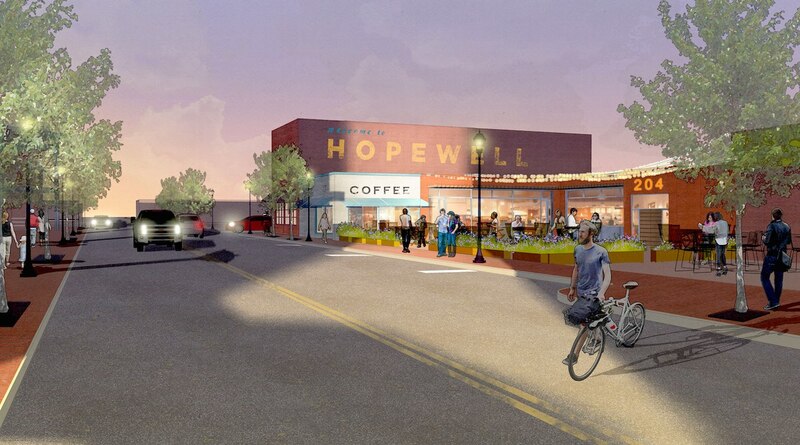 With more than a 70% vacancy in its urban core, the Hopewell Downtown Development Partnership is utilizing SGA’s revitalization strategy as a basis of successfully building a vibrant downtown. The strategy provides interim “pop-up” and long-term techniques to foster activity, especially on scattered vacant brownfields sites of varying sizes. 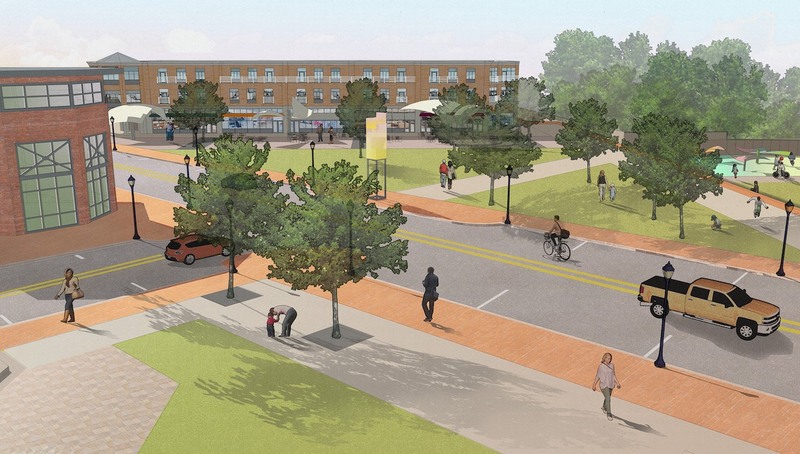 SGA was retained as part of a team to create a downtown revitalization plan based on brownfields redevelopment for the City of Hopewell, Virginia as a component of a U.S. EPA funded Brownfields Hazardous and Petroleum Assessment project. The plan developed by SGA focuses on using parks and public space to facilitate both green infrastructure and economic development. 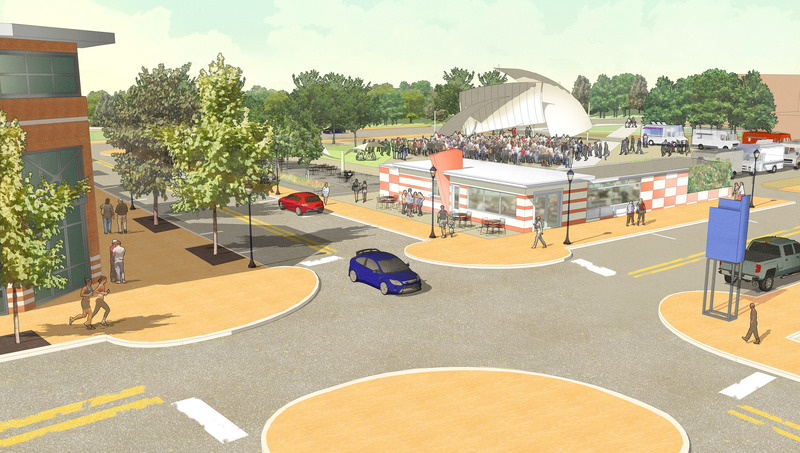 The riverfront park’s proposed improvements focus on a public private partnership approach by featuring an amphitheater, play-zone, and new opportunities to engage with the river as a framework to support a major new mixed-use infill development on adjacent redevelopment site. The plan includes a series of interconnected pocket parks and public spaces that lead visitors throughout the downtown. These spaces are designed as flexible, programmable spaces that can suit a variety of needs for the community while simultaneously complementing and encouraging future private development. 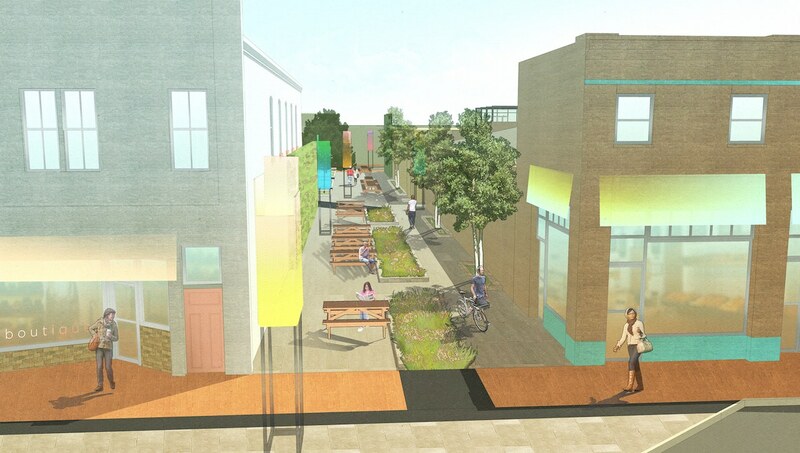 SGA developed a strategy for creating new and in some cases temporary, public spaces that employ a tactical urbanism approach that will act as an immediately implementable catalyst for the revitalization by changing public perception of the value of brownfield sites.